The Ballarat GovHub will be home to up to 1000 Victorian Government employees, including up to 600 public sector positions relocated from Melbourne, helping to revitalise a major part of the Ballarat CBD, generate long-term jobs growth, increase business confidence and further private sector investment. The ‘Civic Hall Site’, which sits on Crown land, will be developed in partnership with the City of Ballarat. Development Victoria is leading the development of a new government office within the Civic Hall Site in partnership with Regional Development Victoria, the Department of Premier and Cabinet and City of Ballarat. This will complete a community, government and commercial precinct in the Ballarat CBD. The Victorian Government will work with the council to improve CBD car parking and offset the losses of parking at the Civic Hall Site. This includes providing $2 million towards the City of Ballarat's Car Parking Action Plan to provide for a minimum for 1000 new carparks to replace the 275 spaces currently on the Civic Hall Site. 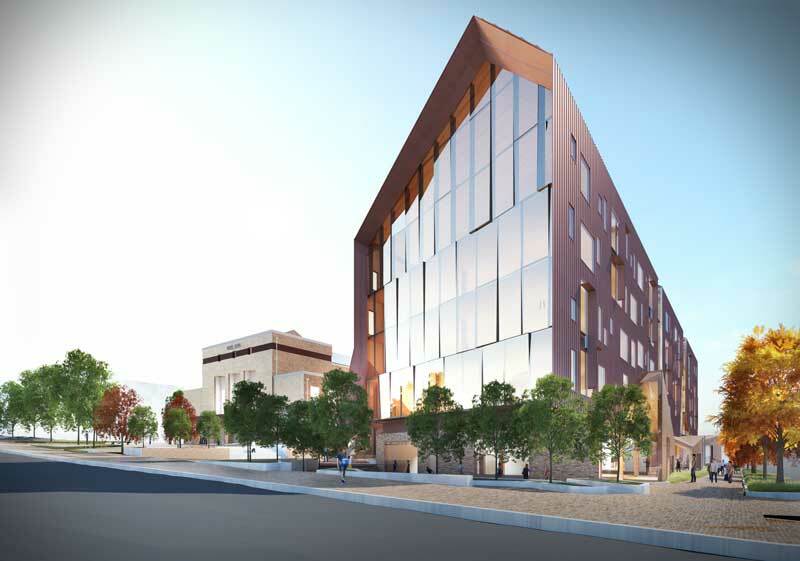 Construction of the Ballarat GovHub will commence in early 2019 and will be completed by the end of 2020. The project will create up to 500 jobs during construction. The Ballarat GovHub is one of multiple projects currently underway in Ballarat to help make it a great place to live, work and invest. End-of-trip facilities to encourage walking and cycling. Why relocate government positions to Ballarat? What are the planning arrangements? How was the community consulted in the design of the building? Will there be further opportunities for the public to have a say in relation to the building design? What does the final design include? What role will the council have in planning? What will happen to the current parking on site? 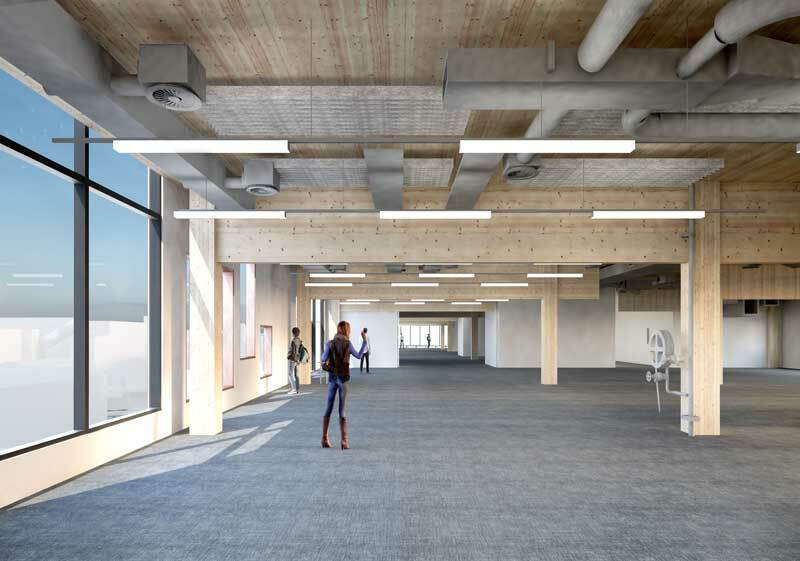 The site will be transformed into an integrated workplace while retaining the existing outstanding features. 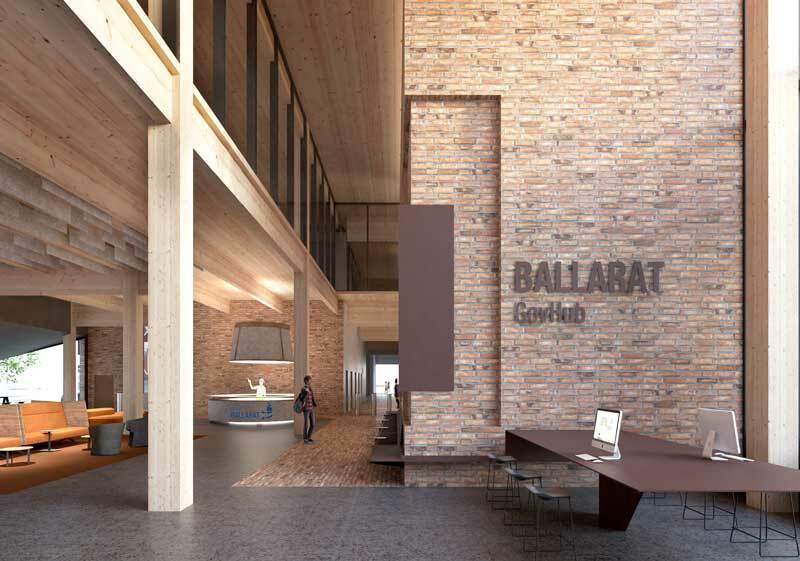 Ballarat GovHub will be home to up to 1000 government employees, including 600 public sector positions new to the city, consolidated with 400 positions current based in Ballarat. The Civic Hall Site has long been recognised as one of the most strategically important sites for Ballarat, as it and the station are the only two sites in Ballarat's CBD that are unconstrained and suitable for large scale development purposes. The site is on Crown land. Development Victoria will undertake the development on the Victorian Government’s behalf. Development Victoria has a strong track record of successfully delivering large scale urban renewal projects that realise the full potential of government surplus land. 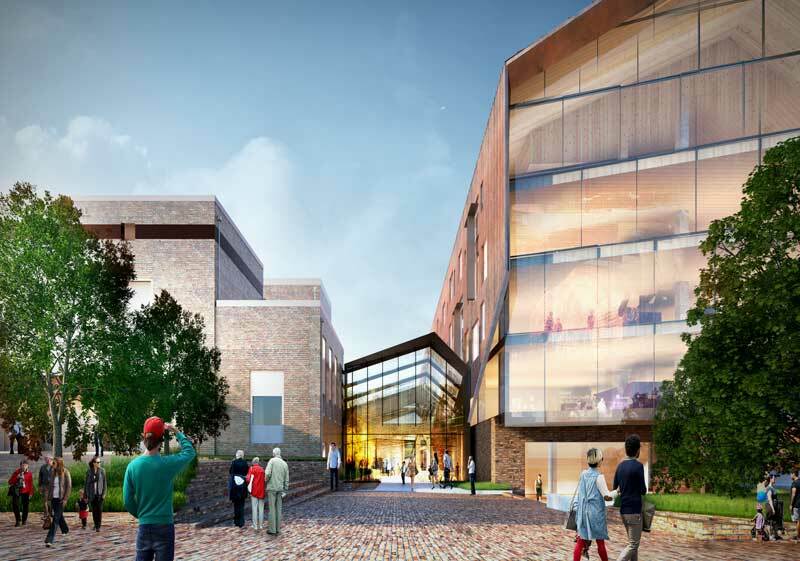 The new Ballarat GovHub will cost around $100 million dollars to develop. The Victorian Government has provided an additional $47 million funding to support the relocation of public sector position and fit-out of the building and will enter into a long-term lease-arrangement with the eventual facility owner. Knowledge-intensive services and occupations are becoming more important to regional productivity and growth for cities like Ballarat. As a major employer in the State, Government can stimulate this kind of growth relocating Government positions to regional areas. 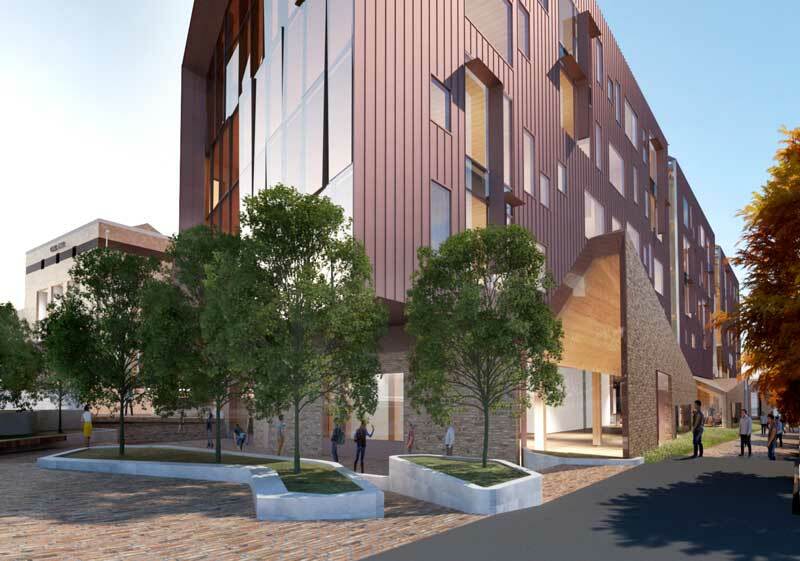 The Ballarat GovHub will go ahead after the Minister for Planning, acting as the responsible authority for the project, approved the Incorporated Document for the site’s redevelopment, and amended the Ballarat Planning Scheme enabling the development to proceed. Extensive engagement with the community undertaken late 2017, including focus groups, the GovHub design launch event and stakeholder briefings, highlighted overwhelming support for the project. Public feedback from this engagement was considered in the final design that was submitted to the Minister for Planning. 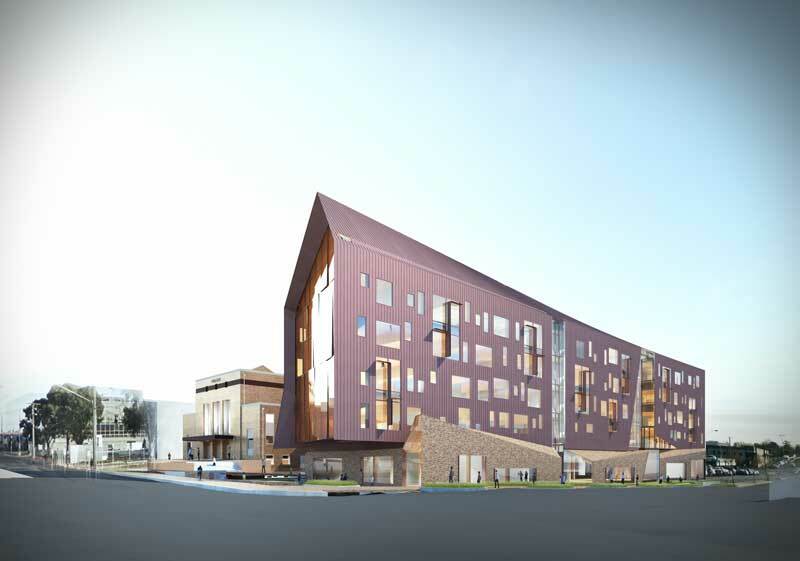 The GovHub designs recognise the important cultural and community significance of the adjacent Civic Hall and library within the City of Ballarat while also creating a modern and accessible workplace. 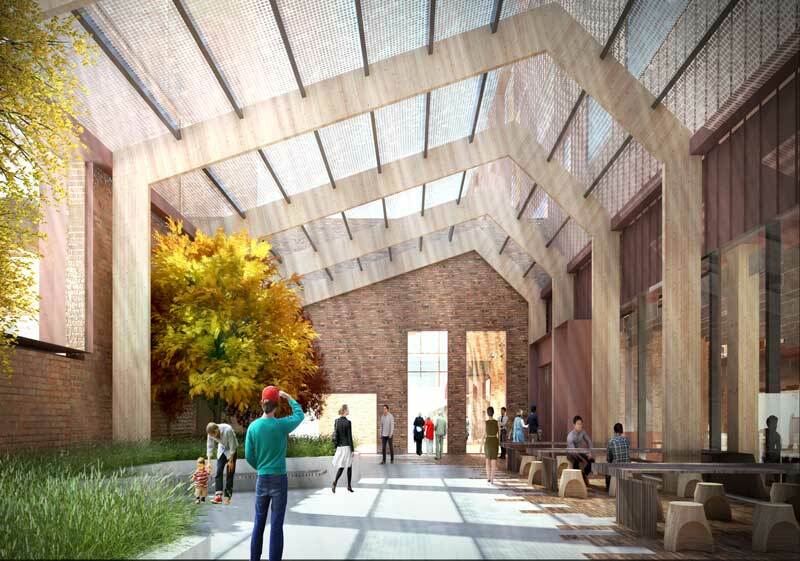 The design has been informed by community feedback and the Victorian Government will continue to work with the Ballarat community as the development progresses. 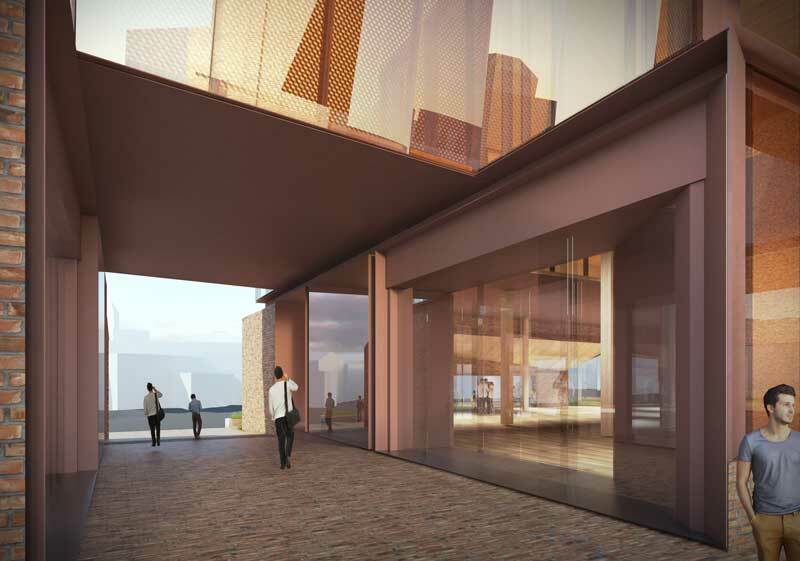 John Wardle Architects have designed the GovHub building to respect and connect with the heritage assets in the surrounding area. 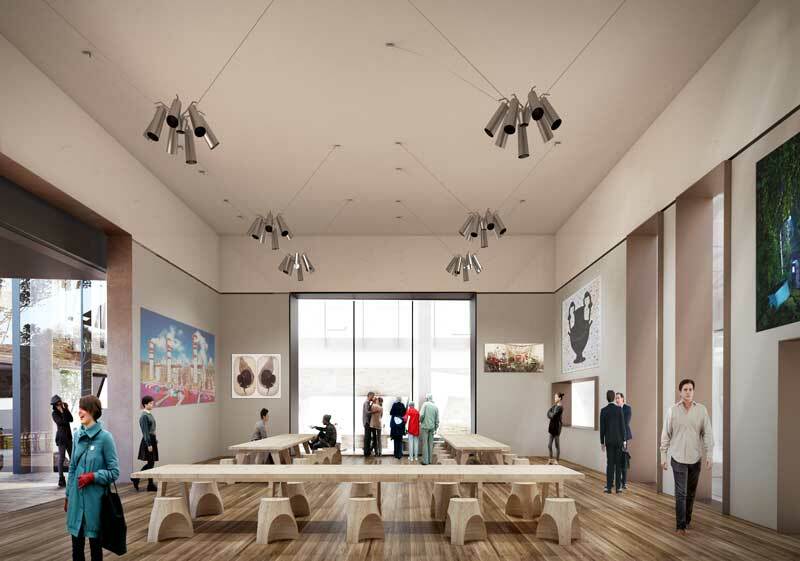 The design team has worked closely with the Office of the Victorian Government Architect to ensure the building respects the Civic Hall precinct and the wider Ballarat CBD, while demonstrating high architectural value. 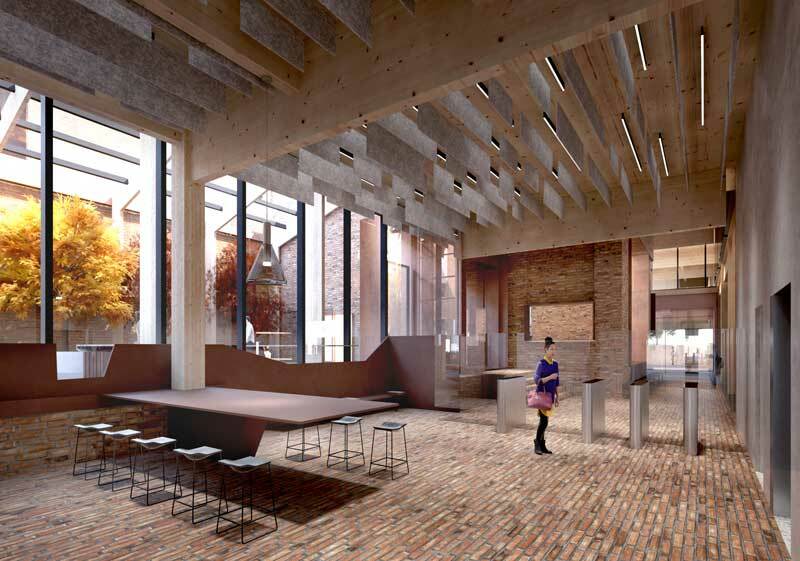 A key feature of the new GovHub will be the continuation of brick and masonry through the podium area with a colour palette that is sympathetic to Civic Hall. The new conservatory and reconstructed ‘lower hall’ will stitch the two buildings together. 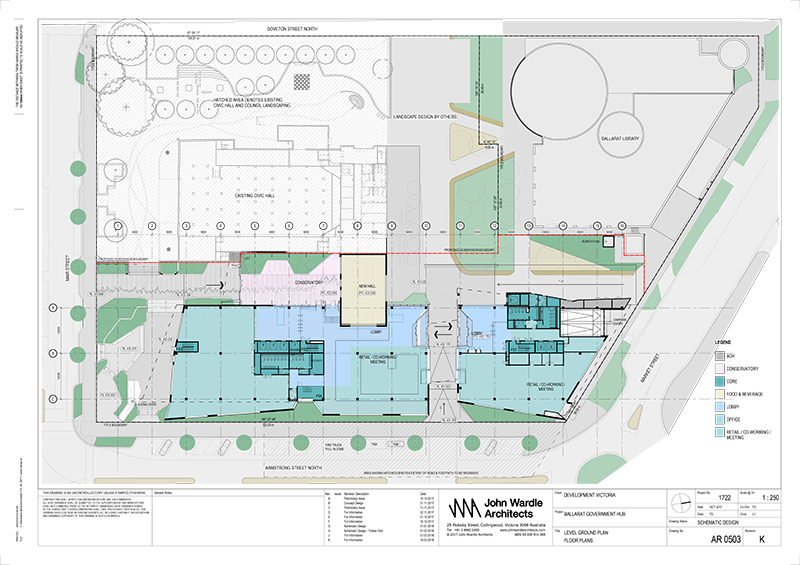 As a project of statewide significance the Planning Minister now has planning controls over the GovHub. However, the City of Ballarat will continue to be consulted in the development of the site and will be closely involved in the ongoing development of the site. As part of the budget allocation, the City of Ballarat has been granted $2 million towards its CBD Carparking Action Plan. This funding will include construction of 1000 additional public car space located within the Ballarat CBD. The first component of the car parking, to be delivered by the City of Ballarat, will see approximately 300 public car parks developed on a site in Creswick Road (400 metres from Civic Hall). 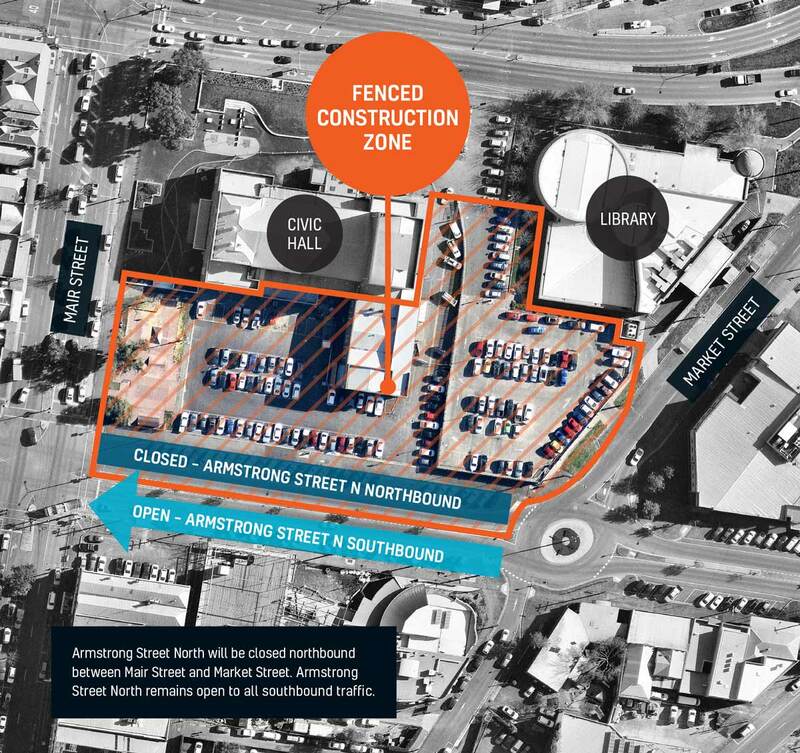 This will offset the 275 car parks that will be lost upon commencement of the construction of the Ballarat GovHub. 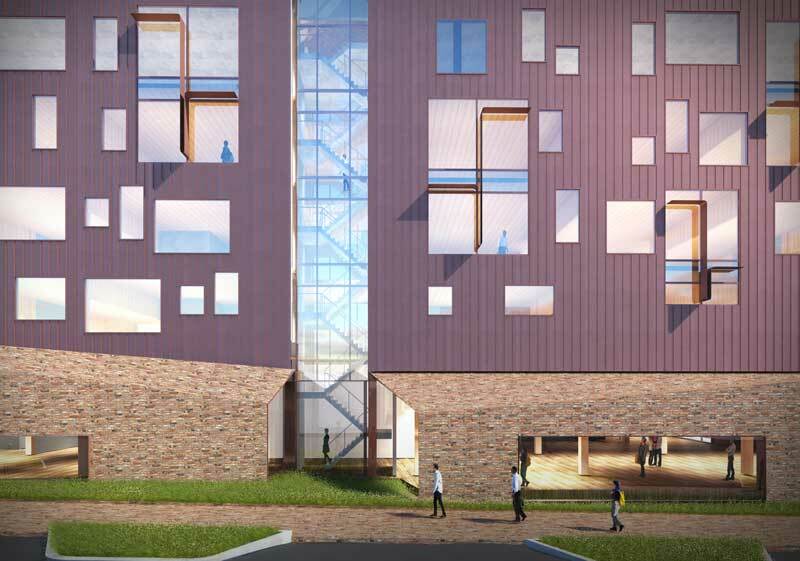 Work on the site will begin in late 2018, with the construction of the new building to commence in early 2019 and completion scheduled for the end of 2020. Neighbouring residents and the Ballarat community will be kept informed of all stages as the building progresses.